I love babies in tutus and bow ties. I love babies with chubby cheeks and tiny hands. I love the smell of babies and listening to their little coos. I love their little little rolls and soft fuzzy hair. I love when they stare at lights or wiggle and squirm. I even like them when they are a little fussy because I can just hand them back to their mama. I think it's probably the stage of life that I'm in...but I'm pretty sure that 90% of ladies I know are having babies, dreaming of babies, or have friends having and dreaming about babies. 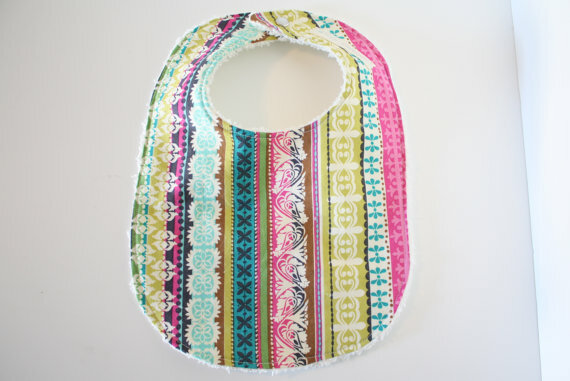 There are lots of super darling things in her shop--perfect gifts for a baby and her momma! 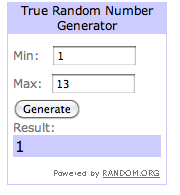 You can win a onesie of your choice! 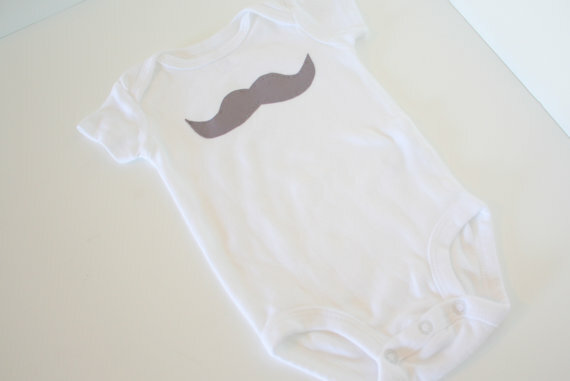 I love the hugs and kisses onesie. 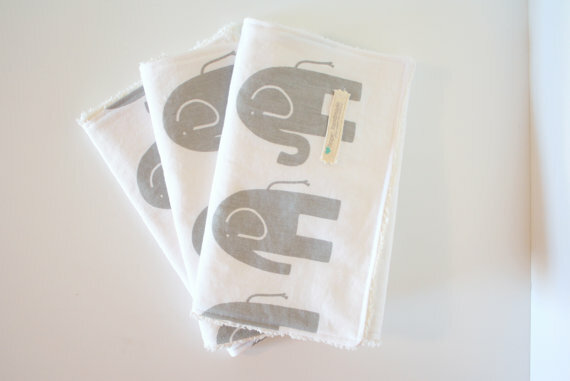 Ooh, I love those elephant cloths! 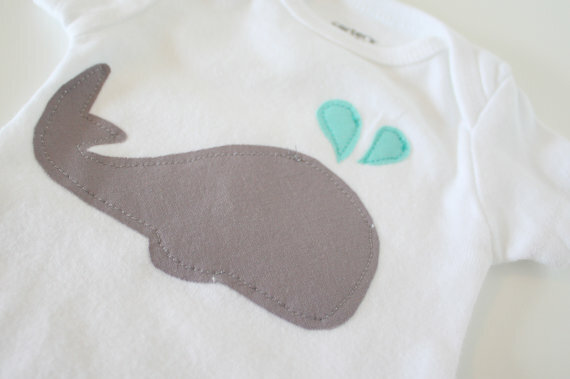 Perfect for the gender neutral nursery! I love the bicycle bib. And the burp cloths... And everything!